MAZATLAN, Mexico -- Hurricane Willa roared into a cluster of Mexican islands holding a prison colony and headed for a Tuesday afternoon collision with a stretch of the country's Pacific coast, its 120 mph (195 kph) winds and high waves threatening high-rise resorts, surfing beaches and fishing villages. Willa briefly reached Category 5 strength on Monday, then weakened to a Category 3. But the U.S. National Hurricane Center warned that it was still likely to bring life-threatening storm surge, wind and rain to parts of western Mexico. The storm battered the Islas Marias, about 60 miles (100 kilometres) off the mainland, on Tuesday morning. It was expected to blow ashore in the evening south of Mazatlan, a tourist resort of about 500,000 people with many U.S. and Canadian expatriates. As Willa closed in, the beach in Mazatlan almost disappeared, with waves slamming against the coastal boulevard, black clouds looming overhead. There was no immediate word on conditions in the Islas Marias, a group of islands that include a nature preserve and a federal prison. Forecasters said Willa would blow ashore somewhere along a 140-mile (220-kilometre) stretch from Mazatlan to San Blas. Bob Swanson, who is from Saskatchewan, Canada, and spends two to six months of the year in his house in the Cerritos neighbourhood near the shore in Mazatlan, said he filled his washing machine with water, filled his home fuel tank and gassed up his car in he needs to head into the mountains for safety. "I come from a country where we have hurricanes and vicious storms, so I'm kind of waiting with bated breath," he said over the phone while sitting on his porch and smoking a cigarette. Enrique Moreno, mayor of Escuinapa, a municipality of about 60,000 people along Willa's potential track, said officials were trying to evacuate everybody in the seaside village of Teacapan. He estimated 3,000 were affected but he expected some would try to stay. 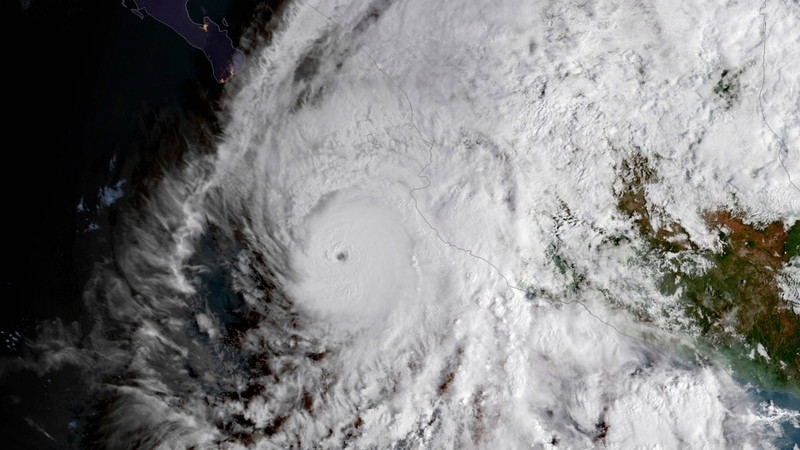 At midday Tuesday, Willa was centred about 25 miles (40 kilometres) northwest of the Islas Marias and 105 miles (1705 kilometres) south of Mazatlan. It was moving north-northeast at 6 mph (9 kph). Hurricane-force winds extended 40 miles (65 kilometres) from the storm's centre, and tropical storm-force winds were up to 125 miles (205 kilometres) out. 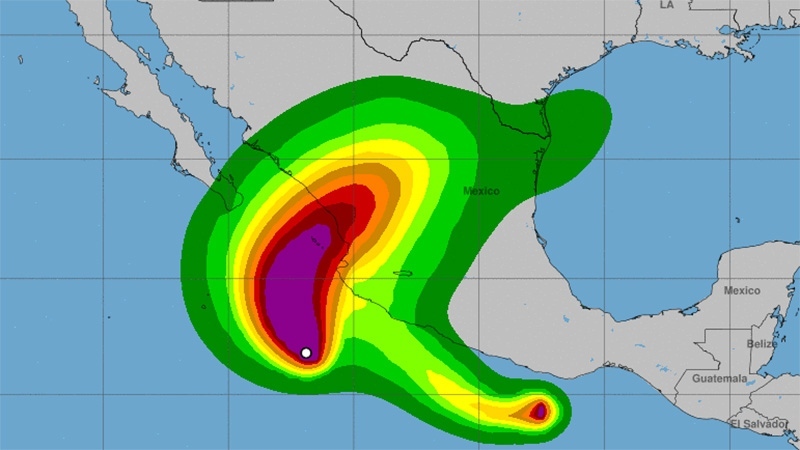 The U.S. hurricane centre warned that Willa could bring 6 to 12 inches (15 to 30 centimetres) of rain -- with up to 18 inches (45 centimetres) in some places -- to parts of Jalisco, Nayarit and Sinaloa states, with flash flooding and landslides possible in mountainous areas. Farther to the south, the remnants of Tropical Storm Vicente continued to bring heavy rain that caused dangerous flooding in southern and southwestern Mexico. 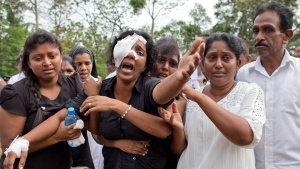 Officials in Oaxaca state said seven adults and five children drowned or were killed in mudslides.